When you’re a mom, you just want to stay organized. When you’re tired and so busy, that can be hard to do! So a lot of moms look to products such as those from BabyTooshy to help them out. 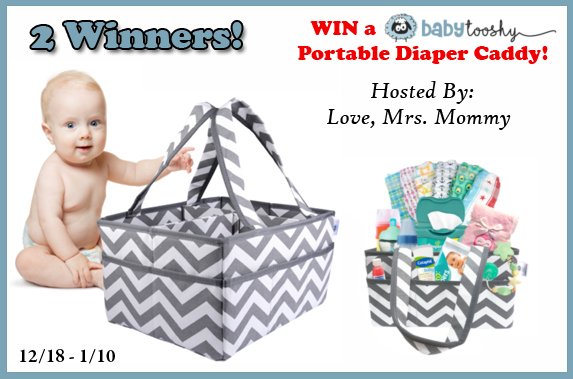 This portable diaper caddy comes highly recommended from bloggers, which is why this giveaway is going on. Best of luck to those who enter! And thanks for stopping by.